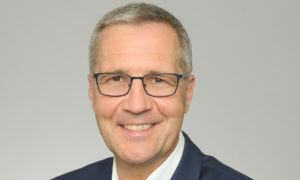 Stefan Foitlinski has joined Lindal Group as Sales Director for the German and east European markets. He reports to Phil Lever, Lindal Group’s Executive Director for Global Sales. Lindal Group is a world leader in aerosol packaging technology. Germany is one of Europe’s largest markets for aerosol packaging solutions, Lever said. “In the short time Stefan has been with us, he has already started to drive our sales and growth agenda in the region,” Lever said. “He has extensive experience in sales, marketing and business development, with particular professional knowledge of plastics, consumer and pharma packaging. Thus, he is well positioned to reinforce the local sales team, further enhance responsiveness, deliver high levels of technical support, and deepen collaboration with Lindal entities across the region,” Lever added. Most recently, Foitlinski was Senior Market Manager for Paul Hartmann AG (Bode Chemie GMBH). Previously, he was Regional Sales Manager (Germany and Benelux) for Wolf Plastics Group, and Business Development Director – Central Europe, for Global Closure Systems (GCS). Foitlinski graduated from the Academy of Economics (Wirtschaftsakademie)/Hamburger Modell) with a degree in Business Administration.